Brand Architecture is a key strategic tool to organize a business so that audiences will understand what you offer and how they can engage. The rules for organizing brands today are evolving. 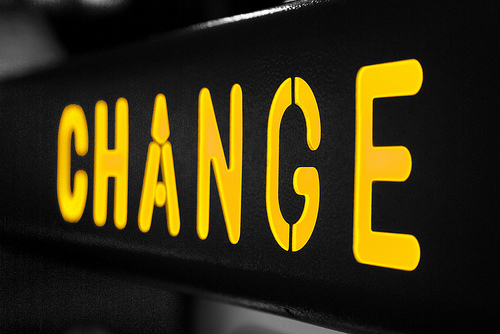 There are important forces that have changed how external audiences engage with brands. Probably the most important is technology and how it has enabled people to know more, purchase more efficiently, and decide more quickly. The consequence is that a company and its products and services need to be communicated with a new simplicity so that all key audiences easily understand the business you are in, how they can find what they need, and at the same time understand the breadth of value your company brings. This is the goal of building a strong brand architecture. Why it is an Imperative? Spin-offs that require new levels of explanation. Need for New Understanding. The shakeout from the economic trough we experienced, while difficult for most businesses, has presented the opportunity to look at the resulting business through a new lens and to sharpen focus to generate new levels of interest and generate higher revenues. Further, this sharpening can have enormous benefit for the financial community, helping them not only understand the business better, but also have more confidence in a company as it moves forward. Galvanize and Engage Employees. In addition to the obvious outward value of a clear and easy-to-understand brand architecture, in many cases the employee base doesn’t always understand the breadth of what their own company offers, how the parts are interrelated, and the opportunities to expand customer relationships. Just imagine the power if every employee more fully understood your business and could be a true brand ambassador. So focusing on a clearer and more understandable framework is an essential task in the new economy. The good news is that there is a disciplined process to determine the best way to organize and communicate a business’s offerings to more easily engage with key audiences. Organizational Architecture Should Not Drive Brand Architecture. Brand architectures should be designed for external (outside) audiences to “explain” a company’s business so that they can understand and engage. The easier it is for an external audience to understand, the greater the chances they will respond, whether it is a customer audience, a business or trade editor, or a financial analyst. But often these organizational decisions are not the way outside audiences see a company’s business. From their standpoint, they want to engage to find a specific product or service, and really don’t care how the company is organized. 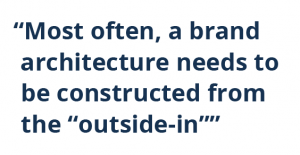 The consequence is that a company needs to have a “brand” architecture constructed from the outside in. 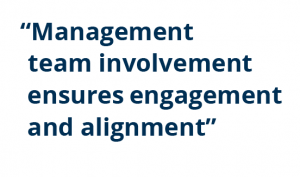 While this sounds relatively obvious, getting internal leaders to agree is usually a significant challenge. Below are some helpful ideas about how to engage the leaders to successfully develop an appropriate brand architecture. What kind of Brand Architecture? A Brand Architecture is a systematic means of focusing and organizing your brand assets to ensure that target audiences understand the breadth and depth of value you offer them. 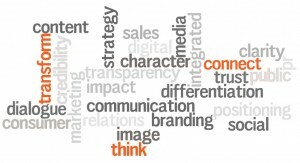 There are several basic types of brand architectures that, in a pure or hybrid form, are the underpinnings of clarity. 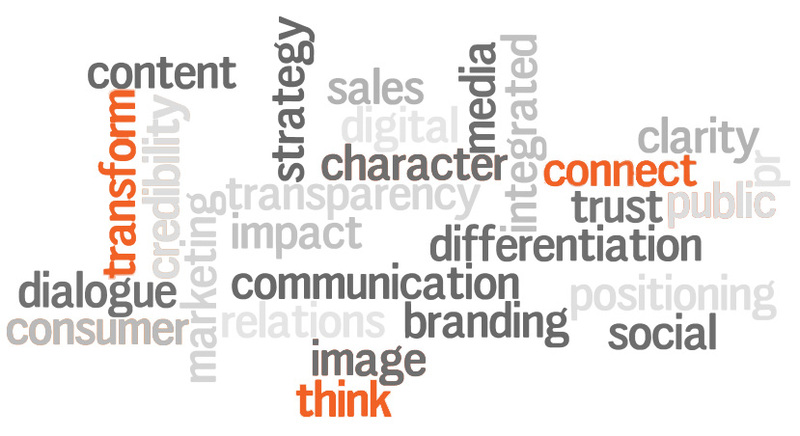 Each is developed by determining the best way to express the business vision through the lines of business. A Masterbrand Architecture is a monolithic structure where, from a branding standpoint, all business units, subsidiaries and divisions share the same brand. 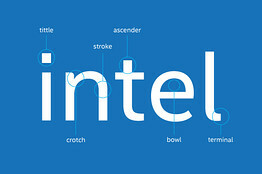 The “Masterbrand “ is also sometimes referred to as the “Corporate, Umbrella, Parent or Mono” brand. Good examples of this strategy are FedEx and GE. In general, everything carries the FedEx and GE Masterbrand and sub-units are defined by descriptive language. An Endorsement Brand Architecture uses a common endorsement for all of the operating units, and the parent brand functions in a subordinate manner to each operating unit brand. 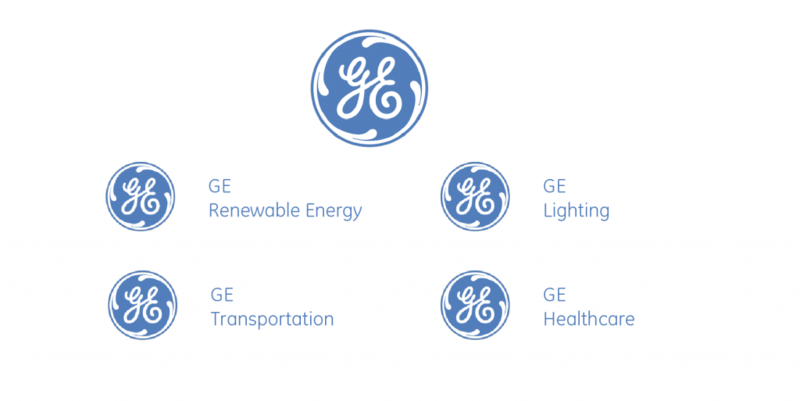 For example, United Technologies operates as a parent brand as it faces Wall Street, but each operating unit is identified by its own brand with an endorsement. The Sikorsky business is branded Sikorsky, “A United Technologies Company,” but uses the iconic “gear wheel” symbol, as does Hamilton Sundstrand, etc. To make matters more complex, sometimes the sub-brands of United Technologies use a legacy identity when facing specific customer audiences. 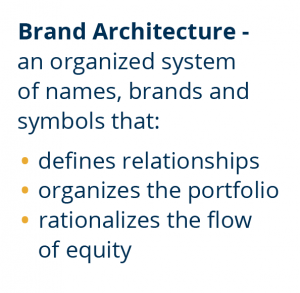 A Portfolio Brand Architecture, sometimes called a “Free-Standing Brand Architecture”, keeps separate identities for many or all of its brands. Particularly if there is sufficient marketing support for individual brands and it is believed the parent does not provide any brand equity that would benefit the individual brands, a portfolio architecture is appropriate. 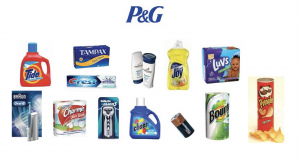 Procter & Gamble manages a portfolio brand architecture. General Motors also manages a portfolio of brands with little overt brand equity supplied by the parent. An Ingredient Brand Architecture uses a principle brand (e.g., Intel or NutraSweet) as a common element in supporting and qualifying other brands. 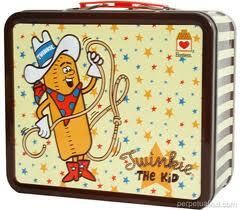 The premise is that if the ingredient is good, the brand it amplifies is better than without it. 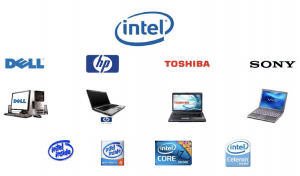 In the case of purchasing a PC, there is research that indicates that consumers look first for the “ingredient”, the (Intel) processor, before the brand it is within. How do you decide which type of architecture is best? If you remember the golden rule (from the “outside in”), that should be the starting point. You start by determining which are the most important audiences. For most companies it is customers. But for others, it is financial & industry analysts, key trade media, and even governments. Therefore, the first task is to determine audience priority. The next step is to determine what each discrete audience needs to “hear” or understand in order to engage with your brand. You must look at your company from their point-of-view. This often requires outside help and research so that you can have an objective view of the marketplaces you serve. Almost every company we work with has a belief about how external audiences view them, and this view is naturally biased and often incorrect. Having objective insights also helps put in perspective internal beliefs that have built up over the years. How do you engage the line of business and other leaders? Evolving to an external facing brand architecture is a process. It not only requires audience research, but also leadership team involvement so everyone understands their role in how the company speaks outwardly. Today, when companies have many different lines of business and products and services, it becomes imperative for the key stakeholders to work together to arrive at a brand architecture that serves both their individual need, but more importantly the corporate vision. Where we have seen the most resistance is in situations where the broad leadership is not deeply involved. Because how a company portrays itself is so critical to the future, developing a strong, outward-facing brand architecture is a strategic mandate. Get the leadership involved and keep them involved. Who should manage the process? Development of brand architecture is a strategic initiative and should be managed by the most senior corporate leader who can rise above line-of-business interests. In some cases it is the CEO, but more often it is the Chief Strategy Officer or Chief Marketing Officer. Among other values, strong brand architectures usually signal a new future while creating clarity. Thus, if a specific line-of-business leader is tasked with the initiative, the solution often becomes weighted in favor of that business unit, and not reflective of where the long-term business is headed. Brand architecture can be a powerful tool to help a company accelerate its growth. Investing the time and effort to optimize a company’s brand architecture can deliver higher near and long-term revenues and profits. Do Brands “Sweat” When They are Stressed? In a recent Wall Street Journal article by Sumanthi Reddy on new theories about why people sweat when under stress… it made me think that there is a strong parallel with brands and how they react to difficult business situations. Scientists now believe that stress-triggered sweat plays a role in sending warning signals to people around us that something is wrong. This body odor conveys a lot of information from one individual to another. Brands under stress can “sweat” too. February 19, 2013 Comments Off on Do Brands “Sweat” When They are Stressed? 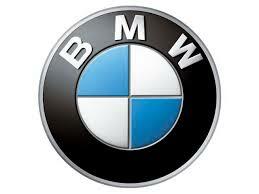 Most people today, especially those in marketing, understand the tremendous value of a great brand name. A distinctive name will get an audience’s attention, help position and distinguish a company in the marketplace, take the company into the future, offer good ROI, and galvanize employees. Many do not, however, realize just how difficult creating a unique, “ownable” brand name has become. Name styles seem to change every decade or so. Years ago, most companies preferred – and were able to own – generic, descriptive names like International Business Machines, American Airlines, and Radio Corporation of America. Now, the trend seems to be a desire for names that are arbitrary, i.e., they have nothing to do with the business, service or product they represent. Think Apple, Java, Yahoo and Uber. (Although if you dig into the etymology of these names, you often discover they actually do have meaning to the company founders, be it an emotional connection or a favorite fruit or drink).